The first Motown instrumental, the first headline appearance for the legendary Motown studio band later immortalised as the Funk Brothers, and the first Motown writing credit for William “Smokey” Robinson; this record has a lot of momentous “firsts” to its name, for sure. Anyway, this is for all intents and purposes a Funk Brothers single, albeit recorded under a silly name. It’s also entirely splendid. 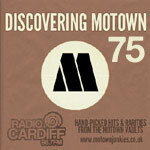 Not only does Snake Walk (Part 1) have little to do with the later “Motown Sound”, it has little to do with the eight Tamla sides which preceded it. It starts out sounding like spare, moody jazz, with James Jamerson’s upright bass plucking out a lonely scale all on its own, then repeating the trick with Benny Benjamin adding a tiny amount of drums, before Beans Bowles’ sax suddenly kicks in at twenty seconds in and the band just takes off, providing a rocking, rhythmic blues beat and some excellent guitar and horn work which you just can’t help grooving to. It’s like film music from the greatest spy movie never made, or something. Brilliant. Unfortunately, this is one of the numerous records for which the master tapes could not be located when compiling The Complete Motown Singles: Volume 1, meaning the CD copy of this had to be dubbed from a 45rpm vinyl single, and it’s the first one where that seems like a real loss; there are great distorted wodges of hiss all over this whenever Benny Benjamin hits a cymbal, which is often, and while it isn’t enough to ruin or spoil the experience, it does make it considerably more difficult to listen to than it might otherwise have been, and it has you wishing there was a “clean” copy out there; especially galling that this should happen on one of the tracks where the music is so important. Like another badly-affected 45rpm dub in the set, Barrett Strong’s Let’s Rock, it ends surprisingly abruptly, making me wonder whether this is a problem with the process used. Anyway, this is excellent. Thanks, I’ve fixed it (it was a typo, I think). The Master Index one is the correct one (all Tamla catalogue numbers in the “main” series begin with 54). Eagle-eyed spot there, that error had been there almost since the site started eight months ago and I’d completely overlooked it every time. This was cool song! It is unlike anything that Motown had released by this point. It starts of jazzy & then gets funky by the end. Your verdict of 8 is well deserved here.